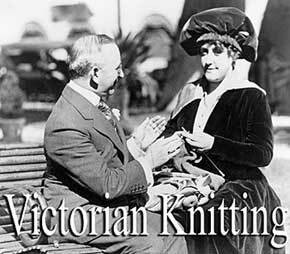 Lacy and lush, with delightful flower patterns and lovely colors – that is what the Victorian look is all about; it is what Victorian knitting and crochet were all about, too. From delightfully flattering clothes to wonderfully luxurious bed coverings, Victorian women loved to stitch gorgeous items in dainty patterns. Nowadays, it’s easy to make the same kinds of wonderful pieces yourself. Sources abound for yarns and patterns with that unmistakable Victorian appeal. 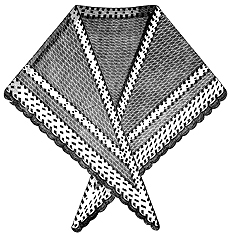 Coverlets were one of the most exquisite knitted items in any Victorian home. They were a lavish mix of many floral lace patterns, creating a look of opulence. According to legendary knitting expert Mary Thomas’s Book of Knitting Patterns, “lace knitting” is “the height of the knitter’s art,” and to achieve the best results “knitters used the finest of knitting needles and the finest of knitting yarns.” Delicate designs such as bluebell, laburnum, and beech-leaf captured the beauty of the garden with leaf and flower motifs. Another essential for any Victorian knitter was the doily. Ladies of the era pulled out all the stops when they crafted these delightful accents, using often a dozen lace designs in a single piece. 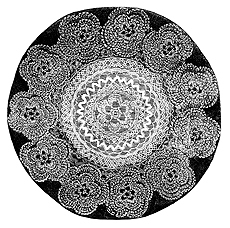 Crochet was also a popular method for crafting doilies, as well as similar items such as vase mats – thicker and smaller doilies meant to keep furniture free of water spots. Three-dimensional flowers graced the edges of many crocheted doilies, with the same styles of leaf motifs found in knitting – adding to it flowered charm. Picot knitting, very rare nowadays, was meant to capture the look of crochet, according to Thomas. It is thinner and lighter than crochet, but made with a very similar technique. Daisies connected with a diamond mesh are the main motif, making beautiful bedspreads, doilies, and tablecloths. And of course, it was a splendid trim for clothing, notes Thomas. 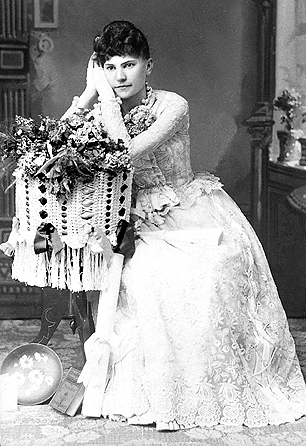 Clothes were another way for a Victorian lady to enjoy hand-knit lace. Shawls were a favorite accessory. 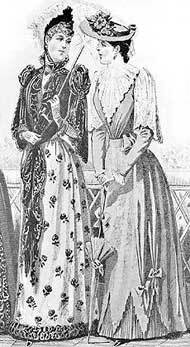 Some were simple one-stitch designs, while others were lavish, with ornate patterns, scalloped edges, and long fringe. 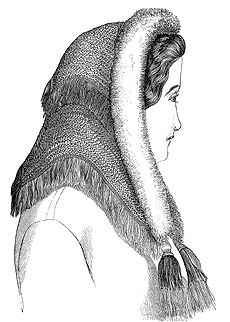 For more warmth, shawls were often crafted from non-lacy patterns, such as garter stitch or double crochet, and then enhanced with a lacy edge. Whether they were lacy or cozy, shawls were often trimmed with ribbon and made in fashionable hues of red, mauve, and blue. 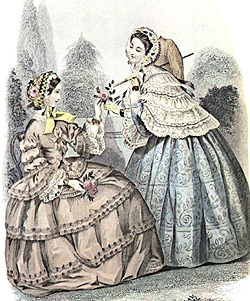 Lace enhanced many a bonnet in the nineteenth century, as well, says Mary Thomas. Snowflakes and stars were worked in round designs similar to doilies to be used as the back panel in fashionable yet comfortable headgear. Other lacy accents included collars and gloves. And of course, many a proper Victorian lady wore lace stockings, often in bold colors. From head to toe, women of the time added glamour to their wardrobes with pretty styles they created themselves. 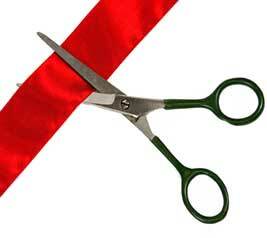 Christina Inge is a marketer, writer, and crafts designer who loves quilting and knitting. She is the Marketing and PR Manager for The New England Quilt Museum in Lowell, MA, where she gets to be surrounded by gorgeous textiles all day.